Why online marketing in Egypt? With 31 million Egyptian internet users, online marketing and advertising has been receiving too little attention from companies in Egypt. The drive down 6th of October Bridge in Cairo is like a walk down enterprise-lane, as one gets exposed to no less than 100 billboard signs in all sizes and colors, advertising most of Egypt’s major organizations and companies. But this, ladies and gentlemen, is not the future, for the future lies online. 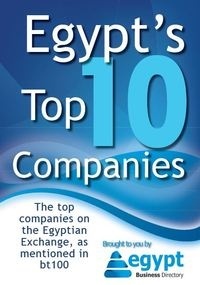 Egypt seems to be one of those countries that have not fully grasped the possibilities of internet advertising and marketing. Of course, one should not underestimate the high advertising exposure and efficiency on the hundreds of thousands of people passing the 6th of October Bridge daily, either on their commute to or from work, but the Dubai Press Club (DPC) published a study proving that Egyptians spend three hours a day online. Additionally, the Ministry of Communications and Information Technology set Egypt’s internet penetration at 37.92%. The conclusion is that 30.94 million Egyptians use the internet for three hours a day – and this is where marketing value and a broad target audience lies. Even newspapers and magazines are frequently read online, and TV-shows are re-streamed on YouTube millions of times per day. As if this is not enough, online penetration increased about 28% from 2011 to 2012 – and this percentage is not planning to decrease anytime soon. But where is the advertising budget in Egypt going at the moment? According to the Oxford Business Group’s (OBG) report on advertising, “Egypt’s per head ad spend outstrips many countries in the region, including Libya and Syria.” The DPC set the country’s advertising market worth $505 million. Unfortunately, only 6.8% of this budget is addressed at online advertising, and regional manager for North Africa for Google Wael ElFakharany claims that the percentage lies even further down at 3.5% - 4%. On the contrary, developed countries spend 17% - 18% of their budget on online marketing. DPC expects digital advertising spending to rise to $72.9 million in 2015, while in 2011 we were talking about mere $20.4 million, with a compound annual growth rate of 37.5%. Digital advertising is also more convenient when talking about calculating the true reach of a marketing campaign, as hits and clicks are countable. Of course, a company should not exclude other traditional advertising means, such as newspapers, television, magazines, radio and outdoor billboards, but it is all about how to divide one’s the budget in the most effective manner. In the end, the endless drive down 6th of October Bridge is not to underestimate, as not only outdoor advertising becomes important. When stuck in traffic, drivers listen to the radio, skim newspapers and magazines, and browse the internet on their tablets and smartphones.